I have just come back from ten-days backpacking around beautiful Morocco with an old friend. We had a fantastic time; hopping on buses from town to town and soaking up the sights - it was a wonderful break. Despite loving what I saw for the most part, one thing that I was prepared for, but still saddened by, was the use of the endangered Barbary macaque monkeys as "photo props" for tourists. 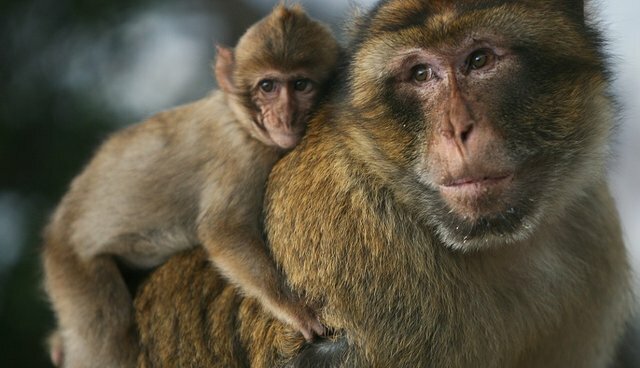 The experience of seeing these monkeys being used in this way made me want to write something more about the use of animals in tourism as it is something which is increasingly threatening not just Barbary macaques, but also other animals (both on an individual and species level) around the world. I then remembered that I wrote something on this very subject, as well as the burgeoning "ecotourism" industry, a couple of years ago for the Right Tourism project which, rather than reinvent the wheel, I have simply reproduced below. Please think carefully about your treatment of animals whilst on holiday and please do what you can to remember that, whilst embracing a new culture, climate and country is a fantastic experience for any traveller, an unthinking adoption of a "when in Rome" attitude may result in you being complicit in animal suffering. Above all, enjoy your time away, but be on your guard and make the right choices. *** In 2006, in the small town on the banks of the Amazon river where I lived, there weren't many tourists and foreigners stuck out like a sore thumb – I knew, because I was one! But as time went on and certainly when I was coming to the end of my time there in 2009, it seemed that there were more and more visitors to the area. With them came more hotels springing up, an increasing number of tour companies offering fashionable "eco" tourism trips and advertisements for "nature reserves" where visitors to the region could see the Amazonian flora and fauna first hand. The brochures and websites for these companies were laden with photographs of macaws, toucans, monkeys and even wild cats with tourists posing next to them. To an onlooker, the birds were not tethered and thus appeared free to fly away. What wasn't well-known was that their wings had been clipped to prevent flight. Monkeys were kept on leashes in houses and tours would deliberately visit those houses, with people being charged to see the exotic creatures – tourists would often believe that keeping these animals as pets was normal practice and thus acceptable. Not so though – removing animals from the forest to keep them as pets is illegal, not to mention cruel. Eco-tourism agencies sold trips to the indigenous communities, but as I spent more time there, it became apparent that not all of these tours were welcome and that a trip to ancestral land was not necessarily for a city-based tour operator to sell. The more I learned about this growing trend of "eco-tourism", the more I wondered what those people paying for what they believed was a socially and environmentally responsible trip would think if they were aware of the machinations of the business behind it. It led me to question how, with no formal accreditation criteria, you could believe the "eco" prefix that now appeared to be attached to the name of almost every tourism operator in the area. What was to stop an unscrupulous tour operator from labelling their company as eco-friendly, and how could you differentiate between the good and the bad – particularly if you did not speak the local language and if these trips were booked in advance from a computer in another country? And when I say differentiate between good and bad – there is, of course, the other side of the story. There were some incredible, educative and truly inclusive tourism projects in the area which worked in close collaboration with local people and offered (in my opinion) a true "eco-friendly" experience. One was a reserve which I worked with as a translator – we took our visitors to areas of natural beauty, we went to areas abundant with butterflies, we camped out in the forest and we took part in canopy climbing activities. The reserve held no animals captive and made no promises to visitors that they would see this animal or that. 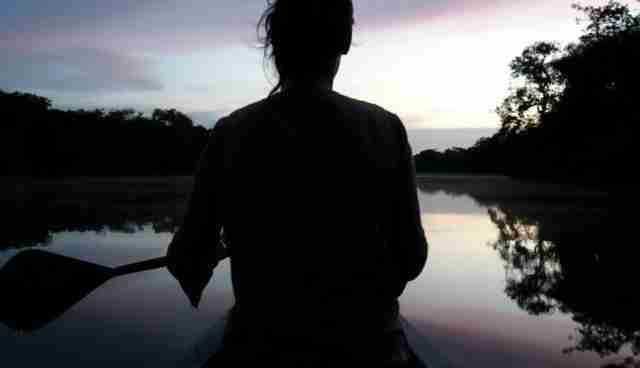 There are many ways to explore and appreciate nature without exploiting it - canoeing in Brazil in 2008 An incredible museum which explored the aquatic life of the Amazon region could be found upriver from my home. The centre, which employs only local people has recreated underwater scenes with scale carvings of the abundant creatures that make their home in the murky waters of the river. Supporting the local economy, celebrating traditional culture and donating to the conservation of the enigmatic pink river dolphins, I can think of few better places to spend your holiday money than in this fantastic centre. 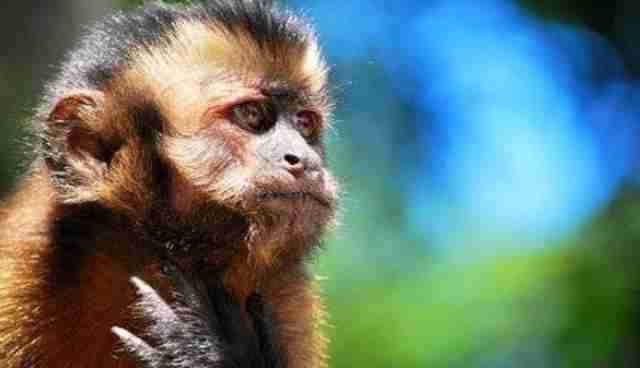 Finally, a rescue centre for monkeys orphaned by the trade in wild animals. The centre employs local people and educates visitors about the damage that the trade in wild fauna is doing to the delicate forest ecosystem. Where possible, the monkeys are rehabilitated back to the wild and those that cannot be released are given a home for life where they are free to come and go as they please but will always be fed and given veterinary care. The money raised from visitors to the centre funds pays its running costs and any additional money is put into a "pot" for the employees to do as they choose with at the end of the year. Each year since its inception, this "pot" has paid to provide school materials for every single child in the local primary school. The conundrum of differentiating between the good and bad remained unsolved in my head until, one day, I was invited to take part in a canoe trip with some friends of mine who were carrying out a census of local birds around the series of natural lakes on the outskirts of town. After paddling for three hours, we reached a hotel where we stopped to get a cold drink and to get away from the scorching midday sun. Sadly, as with so many other hotels like it, a beautiful scarlet macaw sat on the rail of the café; wings clipped and in sight of its forest home but unable to return. The son of my friends, who was seven at the time, squealed with delight and asked me to take a photo of him with the bird. The owner of the hotel glanced over with an encouraging smile but I told the little boy I would prefer not to. His face fell, he stuck his bottom lip out and he asked me why. I asked him what he knew about macaws. He screwed up his face and eyed me suspiciously, as if I was trying to catch him out. I asked him where macaws lived and he couldn't resist the temptation to show off how much he knew. He pointed off into the distance at the forest beyond the river. "In the forest", he said. I asked him if he had ever seen a macaw in the forest and he nodded vigorously. I asked him how many macaws usually live together and he told me "two – they fly in pairs" (he had seen them loads of time, apparently). I asked him macaws normally lived in hotels and he said no, as he turned to look at the solitary macaw on the rail, with a thoughtful look on his face. I asked him where he thought the macaw might have come from. "He was taken from the forest", he said. I asked him if he knew why I didn't want to take a photo of the bird and he thought for a moment. Then in a decisive voice, said: "Because then people will think it's ok to take animals from the forest, and it's not, is it?" He decided that he would prefer not to have his photo taken with the macaw and I was taken at what a simple and logical decision it had been for someone so young, when he just thought for a few moments about what it meant – not just for him (and he really did want that photo!) 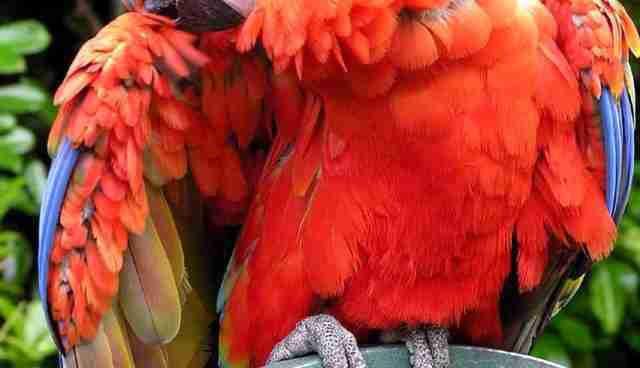 but for the macaw. Ultimately, the little boy's decision was based on what he already knew, and it struck me that this complicated web of good guys and bad guys needn't be as complex as I had made it in my own ponderings. It was just a case of asking the right questions and making a decision based on what you feel is right. There are no cut and dry rules to responsible eco-tourism – but the key is in the word "responsible" and the idea of travellers taking responsibility for their actions. Here is the accepted definition of eco-tourism: "Responsible travel to natural areas that conserves the environment and improves the well-being of local people." 1. What do you do to conserve the environment? 2. What do you do to improve the well-being of local people? Those companies or organisations that are genuine will be able to give you detailed responses to both of these questions because conserving the environment and improving the well-being of local people is what they do – they will not only be happy to share this information, they will want to! Those that cannot give you a satisfactory answer are highly likely to offer you a memorable holiday, but at what cost?